How to Plan Valentine’s Day for Your Girlfriend? There is something special about the weather of February that makes it so romantic and pleasant. And there couldn’t have been a better month to celebrate the day or should we say the festival of love, Valentine’s Day. The world turns into a magical place with lovebirds walking hand in hand, declaring their love for each other. But Valentine’s Day is not just about being loved and pampered with fabulous presents. It is also the time to celebrate love, beauty, and romance in your relationship and show your partner what they mean to you. 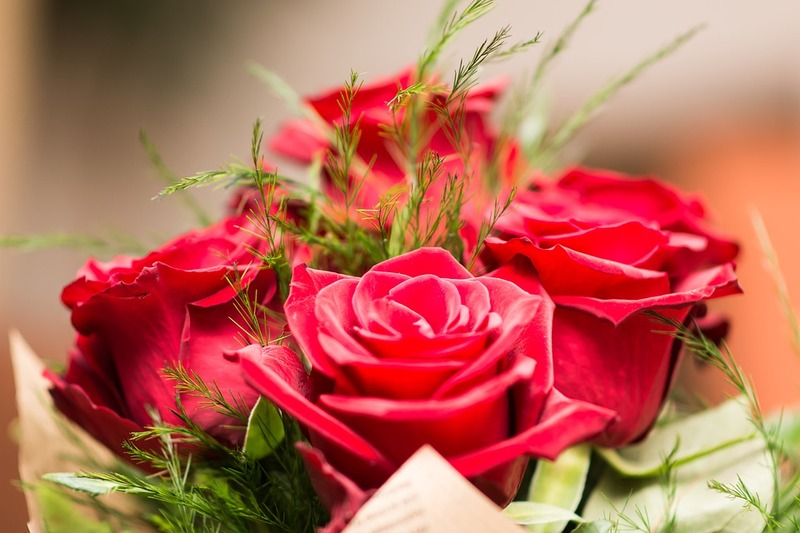 Here are some creative new ideas to plan a romantic Valentine’s Day for your girlfriend and pamper her with the dose of extra love. Of course, the romantic and thoughtful gifts steal the show on Valentine’s Day. But nothing can beat the charm of cooking up breakfast for your girlfriend on the morning of V-Day. The surprise will be quite delightful because she wouldn’t be expecting anything of such sort and it will make an everlasting impression. As the saying goes, “It’s not about having time. It’s about making time.” Try to spend the whole day with your girlfriend doing things that you two love. It can be anything like pursuing a hobby, cooking together, going on a long drive, talking about each other’s interests or just lying around enjoying each other’s company. Or as they say it- Just Netflix & Chill!! Plan a movie date with your girl. And let her pick her favorite movie. It will show that you really want her to enjoy and make this day quite memorable for her. Imagine you and her sitting on a couch, holding hands together while a romantic movie is playing right in front of you. You two will end up having a great time on Valentine’s Day. It wouldn’t be wrong to say that you were both a little nervous and excited on your first Valentines date. Things were quite awkward but you enjoyed when you first met your girlfriend. So why not recreate your first date and walk down the same path where it all started. You can choose the same restaurant where you guys had your first date and relive the feelings, which will make it a whole lot of fun. 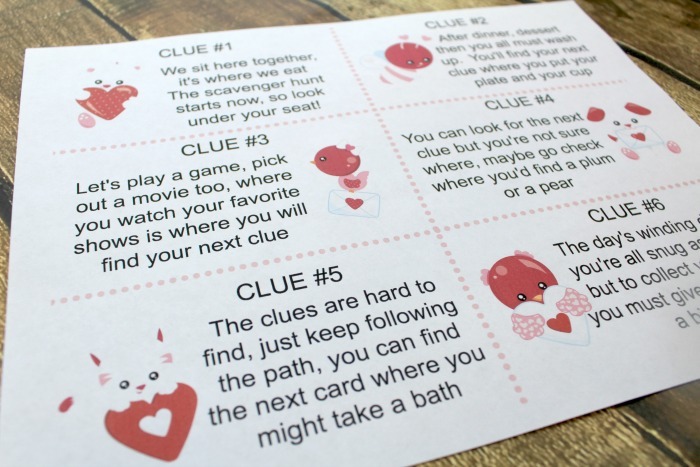 Plan an elaborate scavenger hunt on Valentine’s Day and make the clues based on your relationship. Hide the clues at different locations that you and your girlfriend are familiar with. And in the last step of the scavenger hunt, you can hide a lovely and romantic present for your sweetheart. 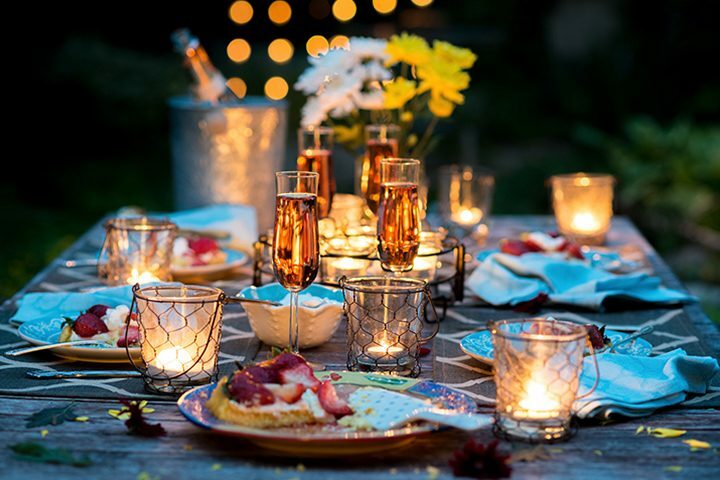 No matter how many trends change, the old school charm of candlelight dinner never fades away. So take your girlfriend out for a romantic date on Valentine’s Day. Make prior reservations to avoid the crowd in restaurants on Valentine’s Day. Just the two of you enjoying delicious food along with the exotic wine and lovely music playing in the background will set a romantic tone for Valentine’s evening. Your girl will be quite impressed and cherish these moments forever. What’s a Valentine’s Day celebration without gifts? So end this romantic day on a perfect note by offering a unique & thoughtful romantic Valentine’s Day gift to your lady love. Always consider her preference while choosing the gift and try to buy something that actually brightens up her day in a great way. Ranging from Valentine flowers, accessories, personalised gifts to weekend getaway tickets, you can buy something special to convey your undying love for her. You sweet gestures will speak of your love for your sweetheart and make this Valentine’s Day a memorable affair of her life.